Traditional wireless access networks require a large number of stationary access points. Multihop wireless mesh networks use relaying among nodes to cover the same area with a smaller number of access points. However, communication among mobile nodes is challenging since mobility and radio signal propagation impairments lead to frequent disruptions of end-to- end paths, which violates fundamental assumptions of widely used network protocols such as TCP. 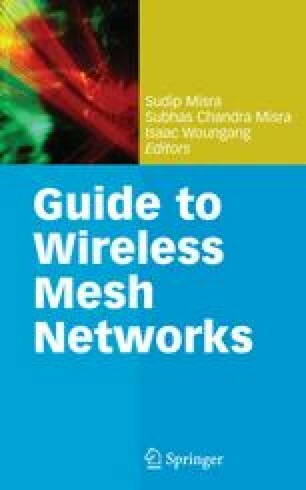 In this chapter, we explore measures to improve the network performance and the user experience in multihop wireless mesh networks. J. Postel: Transmission Control Protocol. RFC 793 (Standard) (1981). URL http://www.ietf.org/rfc/rfc793.txt. Updated by RFC 3168.